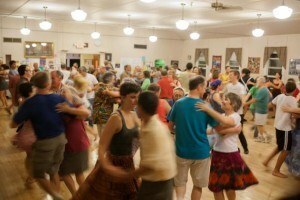 Contra dancing brings joy and laughter and friends into your life. It is fun beyond words. 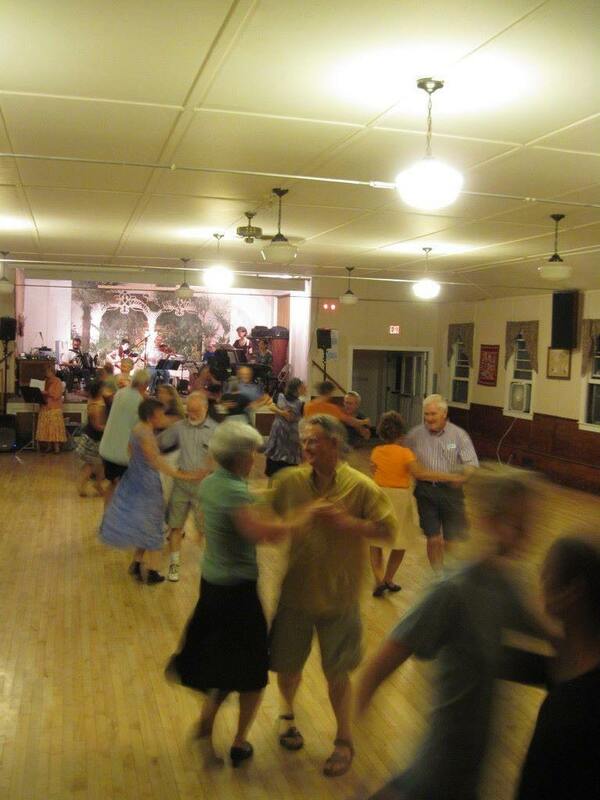 Contra dancing is done to live music – guitar and fiddle and other instruments, playing jigs and reels. A caller teaches each dance, and tells you what to do. You just need to know how to walk! No need to bring a partner. 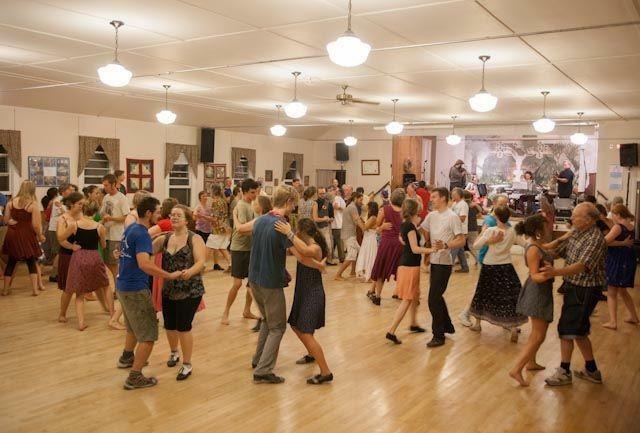 Contra dances are 1st, 3rd, and 5th Saturdays at 8 PM at the Capital City Grange in Berlin (located on Northfield Street/Route 12 just south of the I-89 overpass), 8–11 p.m. Admission is $10.00 for adults, $5.00 for kids or low-income, $15.00 for dance supporters–choose the right price for your budget! We suggest light, comfortable clothing, and bring a water bottle to refill at our water fountain/bottle filler. And please bring clean, soft-soled shoes! Like us on FacebookWe are a friendly and open dance community! Beginners, singles, and all ages are welcome; all dances are taught. Whoever you are, we invite you to come share the joy of dancing with us! Contra dances are done in lines of couples. All ages -from 5 to 105. Each couple follows the calls, dancing with another couple. After you and your partner have done the dance figures with one couple you do them with the next couple in line. By the end of the dance you have danced with everyone in your set. There are about 9 or 10 dances in an evening. The convention is to ask a different partner for each dance and to ask people you don’t know to dance. You get to hear lively music, enjoy some exercise, meet your neighbors, and build our community. What more could you want! Please help us preserve our dance floor! Bring a pair of clean, soft-soled shoes, and change into them downstairs before joining the dance on the main floor. 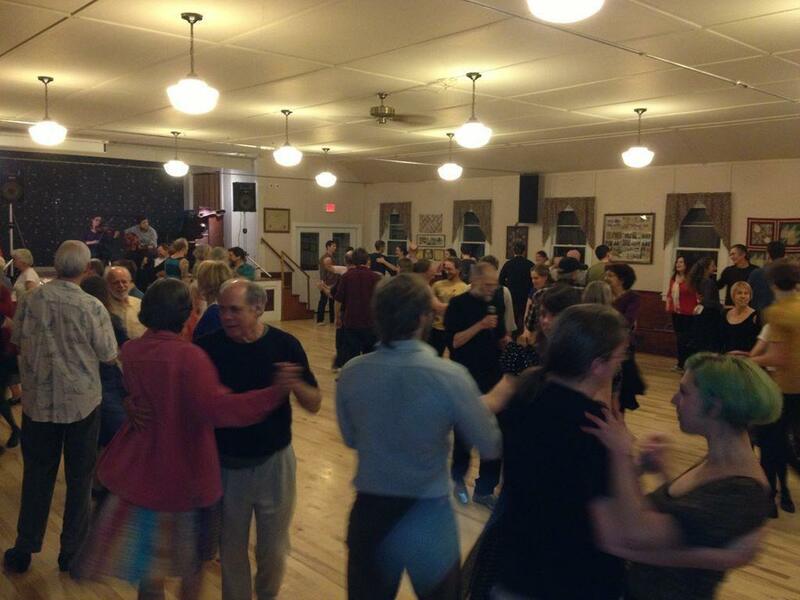 For more information about Contra Dance Umbrella dances, call 802-225-8921 (Tim), or email him: swartztim15@gmail.com. For information about booking Contra Dance Umbrella bands and callers, contact Dana Dwinell-Yardley at danadwya@gmail.com. Your admission goes to pay the caller, the band, the sound-person, and rent payments to the Grange. Pay a little more if you can, to provide a little more for the great performers who help us all have fun! 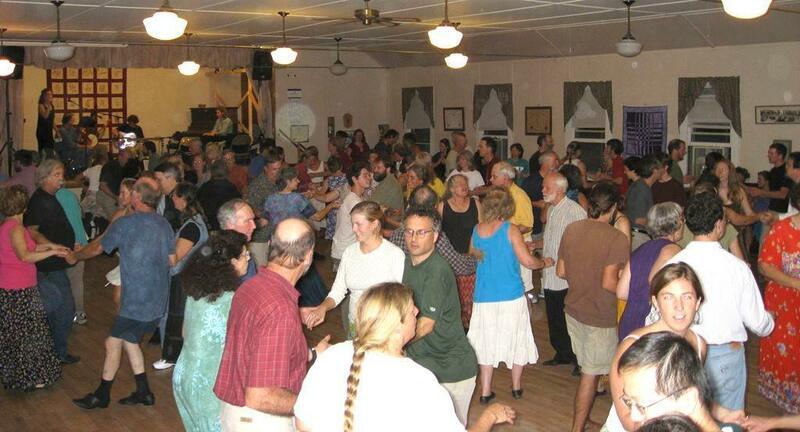 The Contra Dance Umbrella is a volunteer group of Montpelier dancers who organize the CDU dances. If you have questions, concerns, suggestions, or want to know more about the Montpelier dance at any time, feel free to talk with one of these lovely people or call 802-744-2851. If you’d like to get reminders about upcoming dances, news about special events (New Year’s Eve, Halloween, etc. ), plans for Montpelier Contra Dance nametags, and more, you can sign up for the CDU newsletter, by emailing CDU Newsletter. This will come as a Mailchimp email newsletter, and of course you can unsubscribe any time; no one’s name or any other information will be given or sold.